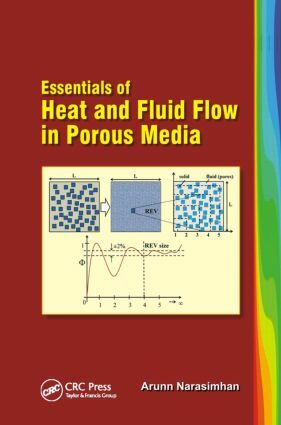 Knowledge of heat and fluid flow through porous media finds extensive applications in several engineering devices spanning four major divisions: mechanical, civil, chemical, and bioengineering. This textbook fills the knowledge-gap between available research monographs in porous media and basic thermo-fluids courses required to understand such monographs. Coverage includes fluid flow, conduction, convection, and radiation in porous media as well as porous medium aspects of biological systems. The book includes end-of-chapter problems and an appendix of useful convection correlations. Dr. Arunn Narasimhan is an Associate Professor in the Department of Mechanical Engineering in the Indian Institute of Technology Madras, India. His major research interests for the past ten years are heat and fluid flow in porous media and biological systems. His publications include six invited book chapters (two in the Handbook of Porous Media, Ed. Vafai), two invited review articles and over fifty peer reviewed research articles in international journals.